In the wee hours of last night I started on Part 1 of the Best Dishes I ate in the past year. Here, in chronological order, picking up right around mid-year, is Part 2, starting with a couple great things at the sadly now-closed BoxPark, then a trek through the Pacific Northwest, including the magnificent Willows Inn (my favorite meal of the year), along with a brief visit to New Orleans and several more great dishes here in Miami. 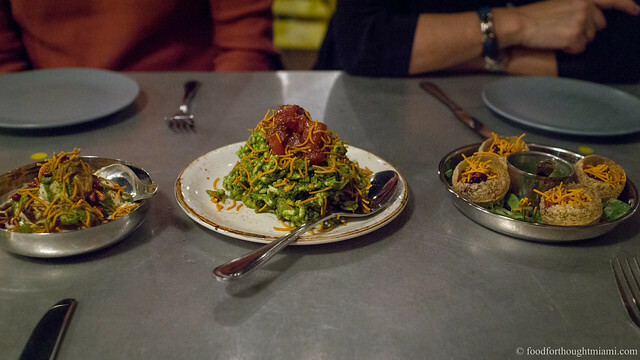 (You can see pictures of all of them in this 2013 Best Dishes flickr set). 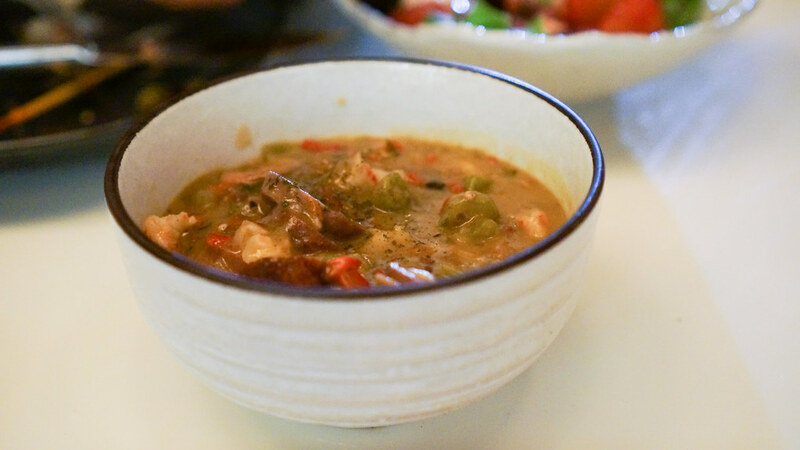 Chef Matt Hinckley’s version [of gumbo], like a lot of things at BoxPark from the house-made charcuterie to the “Brickell Pickles,” uses almost all locally sourced ingredients, some from rather unusual places. He makes his own andouille sausage using invasive feral pigs trapped by local farmers. Ruby red shrimp are seasonally harvested from deep waters off Florida’s east coast. Those “nuisance gators” that are often removed from local golf courses and swimming pools also go into the pot. Okra comes from independent Homestead farms. The sassafras for the gumbo filé is supplied by a small local family farm, then dried and ground into a powder at the restaurant. Even the salt comes from solar evaporated seawater harvested in the Florida Keys. The result is not much to look at: a ruddy, roux-thickened stew studded with various bits and pieces. But what it lacks in beauty it makes up for in flavor: the tender, curled shrimp, the mildly aquatic alligator meat, the spicy, intensely porcine wild boar sausage, the vegetal snap of the okra, the subtle, complex aroma of sassafras, all supported by a backbeat of peppery heat and bound in a velvety, tomato-speckled broth. It’s a perfect combination of surf and turf and earth that is truly of this place. 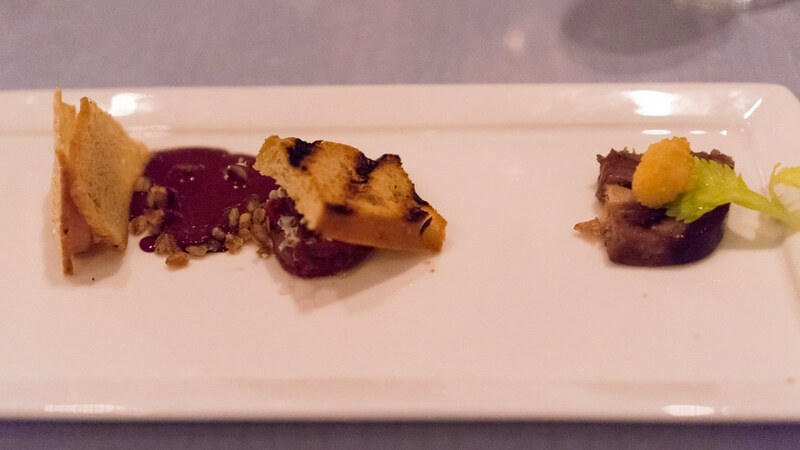 Hinckley's charcuterie was also exceptional - more rustic in style than that at DB Bistro, which also made my list, but every bit as flavorful. 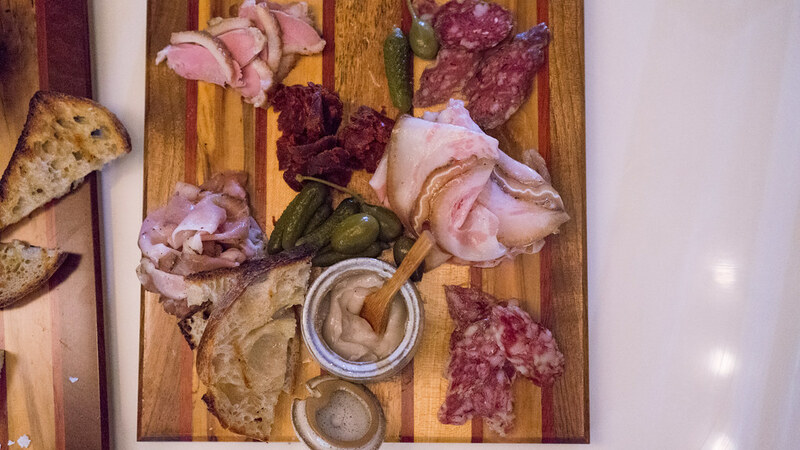 This platter included duck prosciutto, porchetta di testa, lonza, saucisson sec, biltong, and some silky duck rillettes. Last I heard, Hinckley and partner / pastry chef Crystal Cullison were moving to New York - which is a real loss for Miami, but I'm eager to see what they do next. 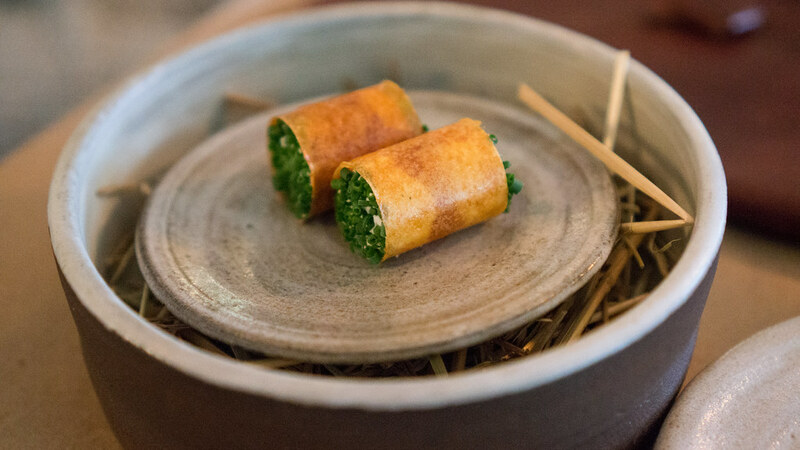 A crisp delicate crepe shell wraps itself around a filling of salmon roe, maple cream and chives. It is creamy, salty, and sweet, the fresh green herb complimenting the roe's marine brine. It is also head-smackingly delicious. And then, for the first course, a dish that captures a sense of place possibly more perfectly than any other I've had. 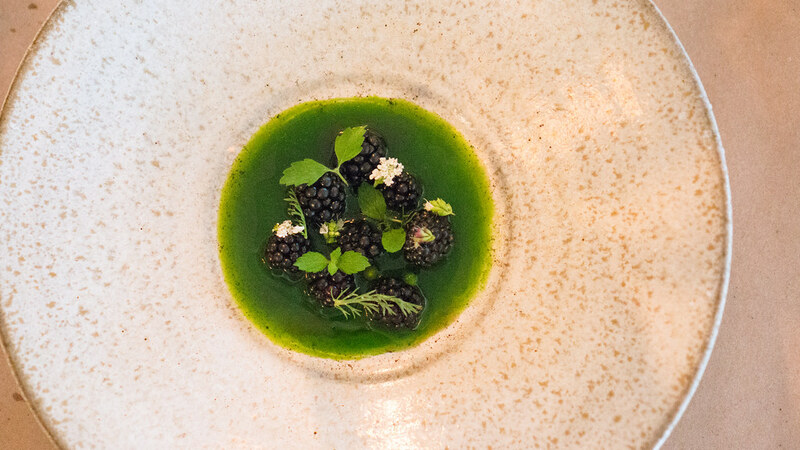 Plump blackberries rest in a pool of an emerald green juice of herbs and grasses, garnished with more of those same delicate herbs and their flowers. It is, very much literally, the landscape right outside the restaurant, on a plate. 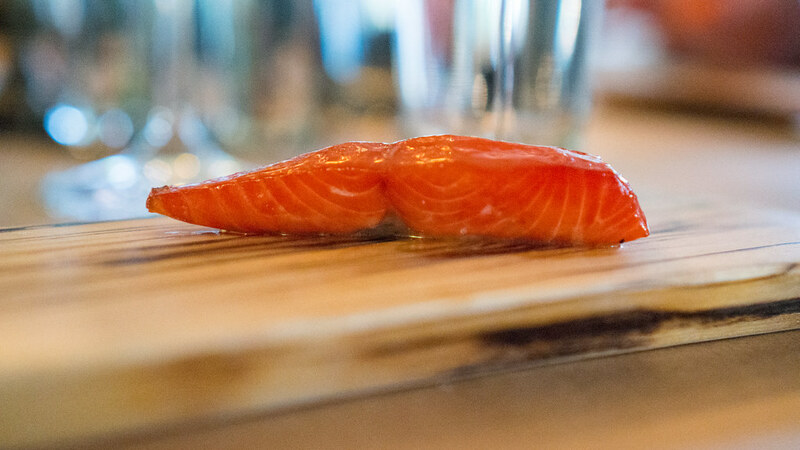 That salmon: reefnet caught, alderwood smoked, sockeye salmon, glistening, vibrant red, faintly warm, fatty, rich, smoky and sweet. You eat it with your hands. You want to go slowly, and savor every bite, but it's hard to resist. You surreptitiously watch your kids to see if they're going to finish theirs. You consider asking for more, even though it's a generous portion. You realize: this is the best salmon you are ever going to eat in your life. As the year comes to a close, it's time for New Years' resolutions, and "Best Of..." listicles. I think one of my resolutions last year was to publish my "Best Dishes of the Year" list before the calendar turned, so if I can get this post up, I will have kept at least one resolution. The "lose 20 pounds" resolution will have to wait till next year. (You can see all the dishes in this 2013 Best Dishes flickr set). Though Chen has been reluctant to expand his offerings, if the vegetarian ramen I tried is any indication, he shouldn't be so worried. It was fantastic. 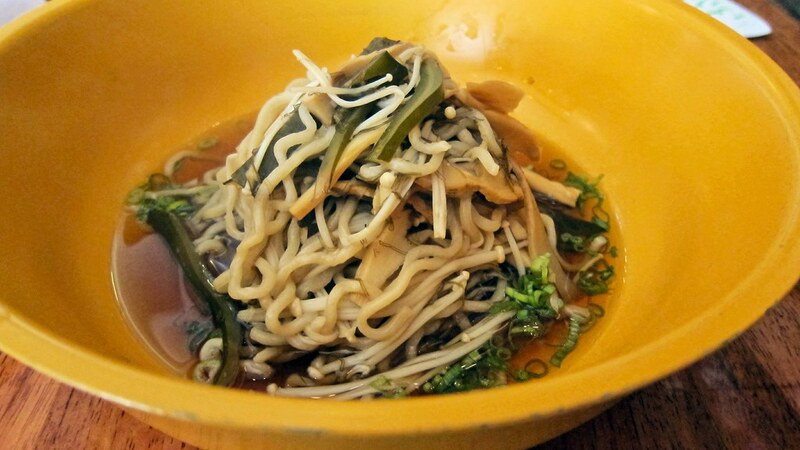 It's not swimming in broth so the noodles can really shine, along with softened kombu (which the server explained that the chef harvested himself in Japan), menma (bamboo shoots), fresh enoki mushrooms, and scallions. The broth, a kombu dashi made from white kombu (loaded with glutamates) and okra juice, was a delicate, translucent yang to the yin of the hearty tonkotsu, but still had a serious umami punch. I had this dish at the beginning of the year, shortly after Eating House reopened as a full-time restaurant. It was fantastic. 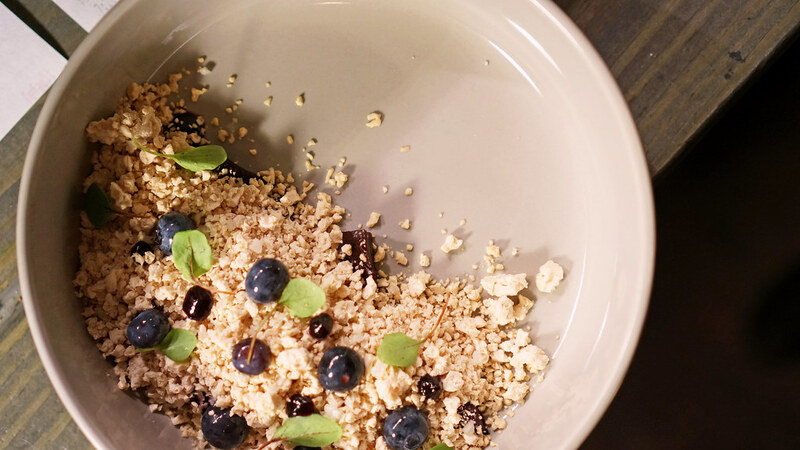 Creamy foie gras mousse was frozen and then pulverized into little pebbles, which covered nuggets of roasted beetroot, dotted with beet purée and ripe blueberries, with a scatter of baby sorrel leaves and a hint of pink peppercorn. 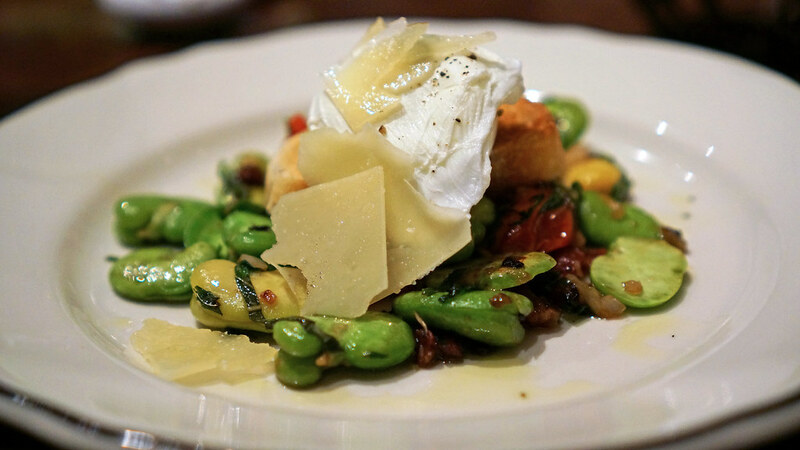 One of the best things I've had from this corner of the menu is a dish of warm fava beans, piled in a happy tumble along with plump golden tomatoes, a poached egg, slivers of duck prosciutto, and shards of pecorino cheese. I particularly enjoy that the dish is focused around the vegetable, not the protein, with the other components the complementary players. Alberto Cabrera's Bread and Butter is a place I hope to get know a lot better in 2014. Cabrera's latest project - and seemingly the most personal he's ever done - seamlessly merges traditional Cuban flavors with contemporary style, and his "Pan con Lechon" is a perfect example: tender roast pork shoulder is nestled within a puffy, doughy Chinese style bao bun, drenched in mojo criollo and crowned with sautéed onions and fresh scallions. I think DB's charcuterie is the best that can be found in Miami - and, indeed, some of the best I've had anywhere. 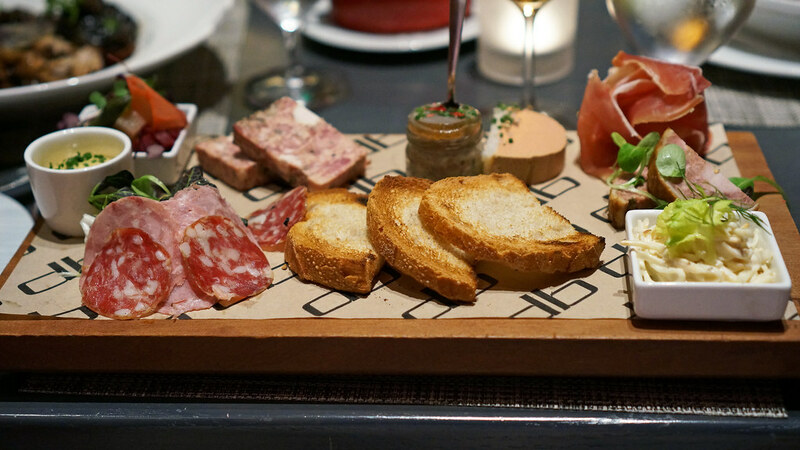 The board usually features a couple different salumi, a few different pâtés, ruby-hued slices of cured ham, a half-moon of lush, silky foie grass mousse, an assortment of pickled cornichons and onions, and if you're lucky, crackling-crisp nuggets of pork rillons, like croutons of pure pork belly, or maybe rich duck rillettes, glistening with translucent duck fat. 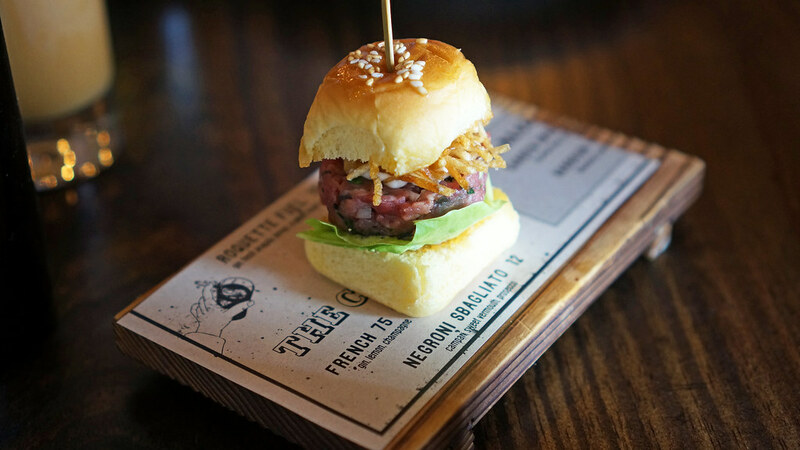 Much like the famed "Little Oyster Sandwich" at The Dutch that it appears to be modeled after, the Steak Tartare Slider may be one of the food world's perfect bites. A mound of bright ruby-hued raw chopped sirloin is tucked into a fluffy sesame-seed flecked bun, along with a dab of truffle mustard and some crispy shoestring fries. Pair it with their ceviche taquito or mini-lobster roll and you've got the ideal surf-n-turf appetizer. While our visit to The Willows Inn was the most exceptional meal of our trip to the Pacific Northwest this past summer, it was certainly not the only good one. I was particularly excited by a couple places we tried on the front end of our trip, in Vancouver. First up: Wildebeest. 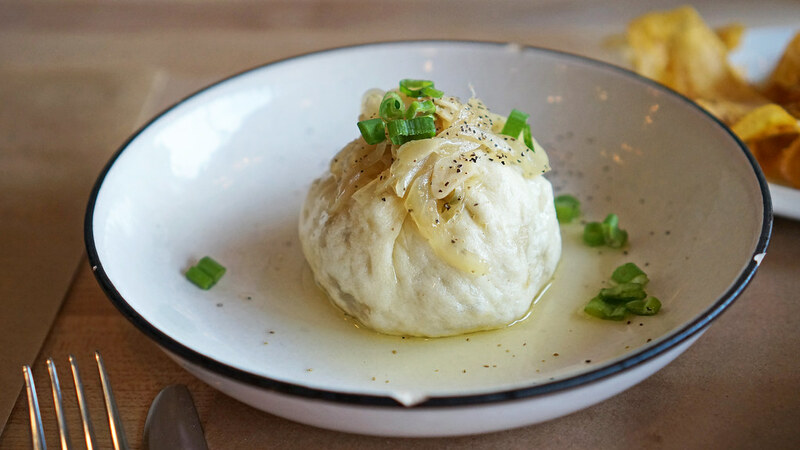 Wildebeest is a new-ish place in Vancouver's Gastown neighborhood with a rustic, vaguely steampunk aesthetic, an offal-centric menu, and a naturalistic, unfussy style. 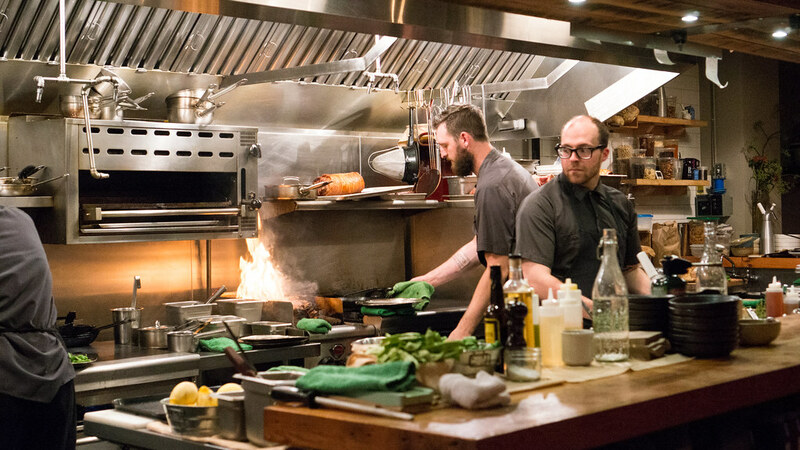 The brick walls, bare bulbs and rough wood are in perfect sync with Chef Wesley Young's cooking style, which is dominated by meat and smoke. Snacks and cocktails help set the stage. 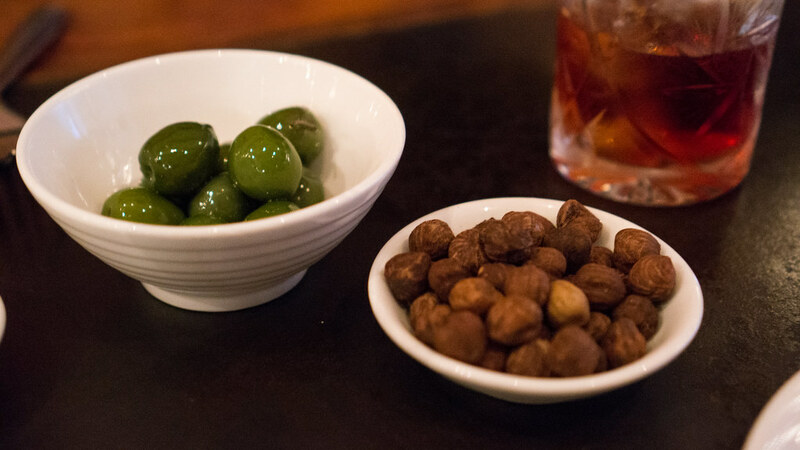 Crunchy hazelnuts are infused with seawater; buttery, bright green Castelvetrano olives are smoked. 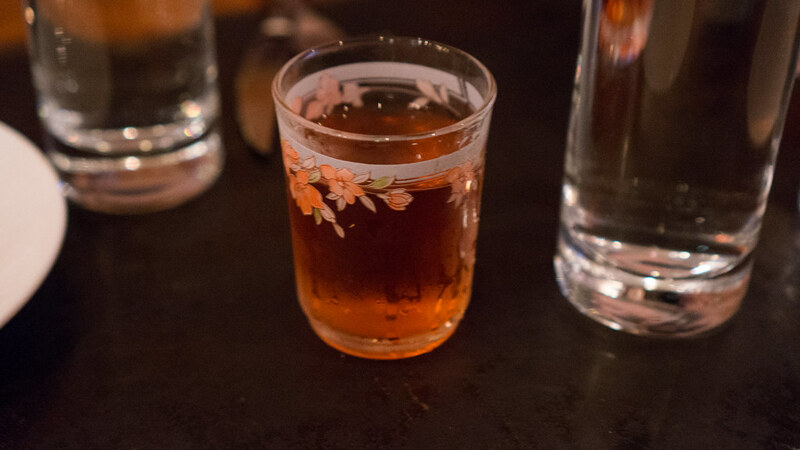 They're both great nibbles to go along with an intriguing Tequila Sazerac, served up in a little flowered granny glass. This was a delicious reinvention of the classic cocktail, using reposado tequila and mezcal in place of the rye, and a green Chartreuse rinse in place of the absinthe. Though Wildebeest has made a name for itself with its meat offerings, they don't neglect vegetables either. 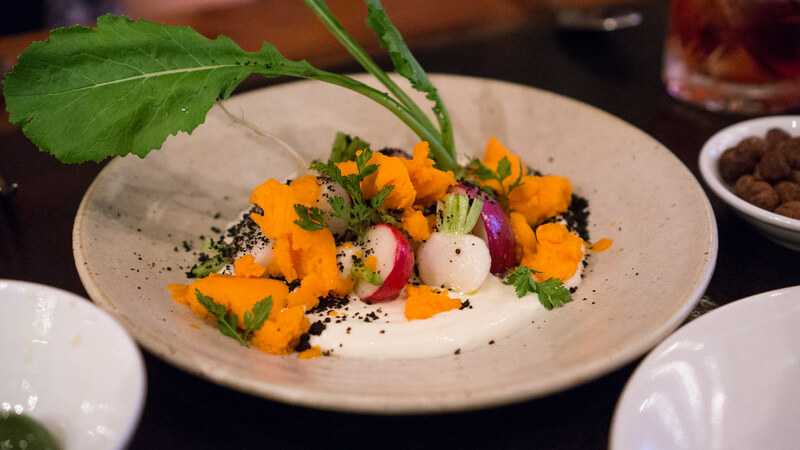 I particularly liked a starter that combined a variety of different radishes, served in a puddle of fresh, creamy cheese, along with a bright carrot sorbet and a crumble of toasted hazelnut "soil." 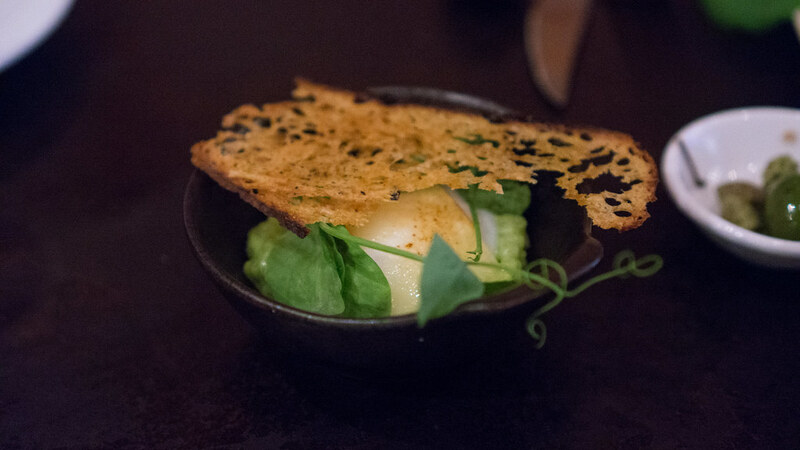 Even more delicate was a slow-poached farm egg, served over a celadon-hued green pea tapioca with fermiere cheese, pea tendrils, and a thin sheet of crispy bread for dipping and scooping. But obviously, a place called "Wildebeest" is really about the meat. And it's great stuff here - prepared simply but thoughtfully and presented essentially ungarnished. Quail is hay aged, and then smoked, brought to the table with a wad of still-smoking straw protruding from its carcass. The intense flavor of the tiny bird's flesh, still rosy-hued, belies its size. 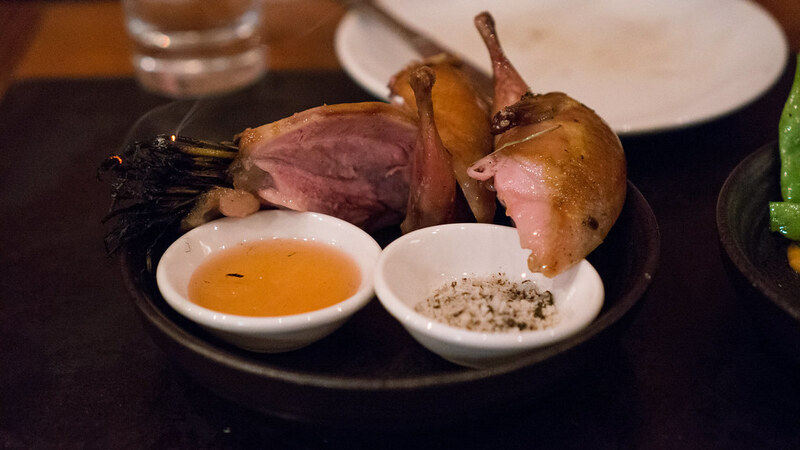 Served with little dipping bowls of a fermented wild berry honey and a salt and pepper mix, and just begging to be eaten with one's hands, this was one of the best birds I ate all year. 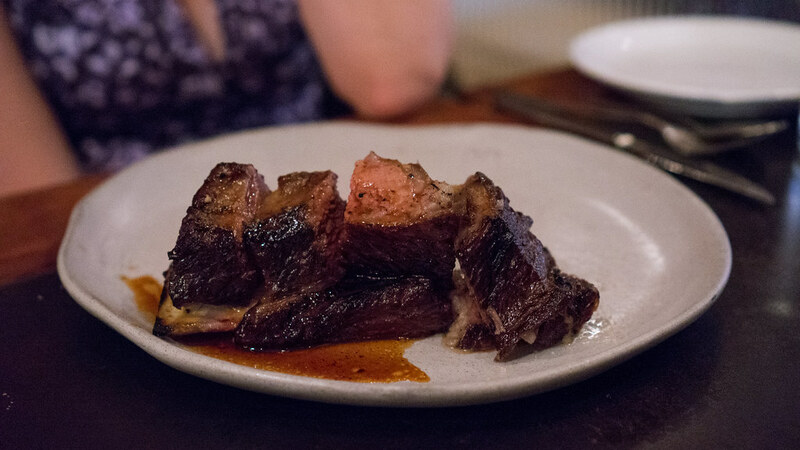 A big slab of beef short rib gets a similarly minimalist treatment: slow roasted on the bone, then carved into large hunks to reveal the pink meat concealed by the darkly burnished exterior, served with a sprinkle of smoked salt and a hay jus. 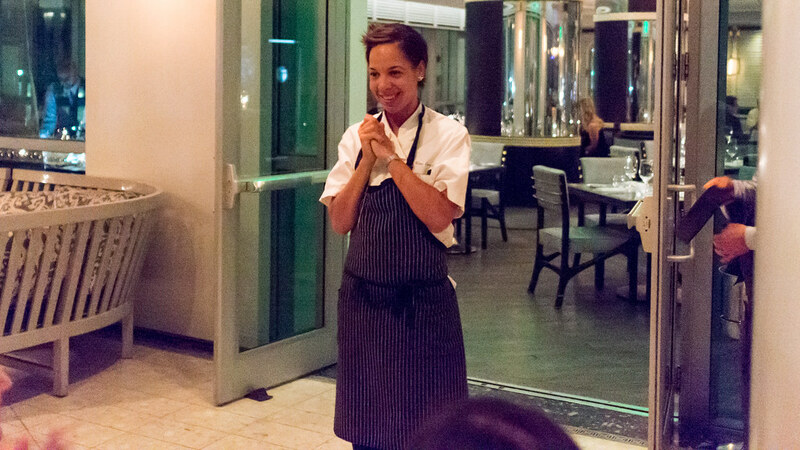 I'll confess, it's actually been a long time since I've eaten at Scarpetta, the Scott Conant restaurant in the Fontainebleau where Chef Nina Compton holds down as chef de cuisine. But we knew good things were happening there - I've never heard of anyone reporting anything but a great meal at Scarpetta, and Compton's performance on this season of "Top Chef" has her as the clear front-runner to take that honor. We figured we had to get in on a Cobaya dinner with her before she blew up. After the seed was planted when she helped out former kitchen companion Michael Pirolo for his Cobaya dinner at Macchialina a few months ago, it came together earlier this week. As is our usual modus operandi, we gave no limitations other than "Cook what you want," which is what Chef Nina did for a group of forty seated at several long tables on a veranda looking out over the Fontainebleau pool. She let us know at the start, there would be no "theme," just "good food." She was right. It was a great meal: a bit more adventurous than the usual offerings at Scarpetta, but with that same elegant, modern Italian spirit. (You can see all my pictures in this Cobaya Nina at Scarpetta flickr set). 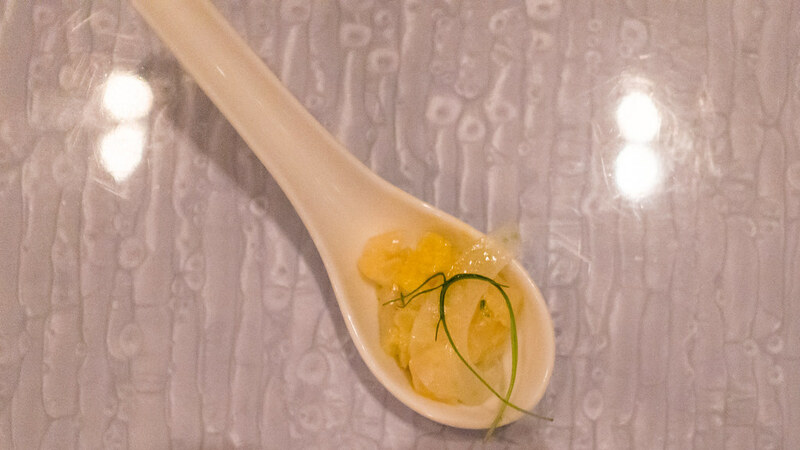 A simple crudo to start, playing on the flavors of the Mediterranean - tender scallop, with slivered fennel, orange and pine nuts - was a clean and bright start. A refreshing bubbly prosecco was a perfect pair with this; indeed, the wine pairings throughout the night were very well done, unfortunately I didn't take notes on producers. Some heartier bites followed: whipped morcilla (blood sausage), a slice of testa (headcheese), and fegato (chicken livers) making up a nice offal sampler. Sweetbreads are tough to get right. Over-breaded or over-cooked and they just become little nuggets of "fried"; not enough and they can be floppy and flaccid. 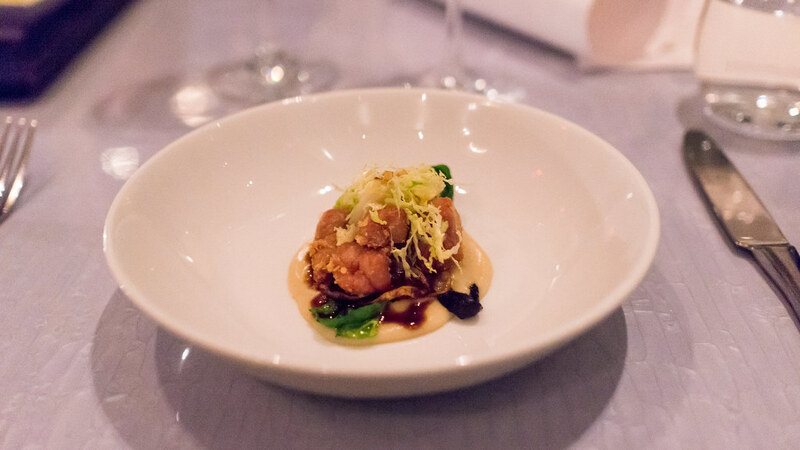 Nina's were close to perfect: a nice bit of crunch on the exterior, but not enough to overshadow the delicate puffy texture of the sweetbreads. They were served over a truffled sunchoke purée with brussel sprout petals and black trumpet mushrooms, making for a really a nice layering of earthy flavors.